Arrange the salad ingredients, except flowers, in a large bowl. Mix the dressing ingredients together in a mason jar or whisk in a bowl before drizzling over the salad. If using a mason jar, shake vigorously so the olive oil combines with the other flavors. 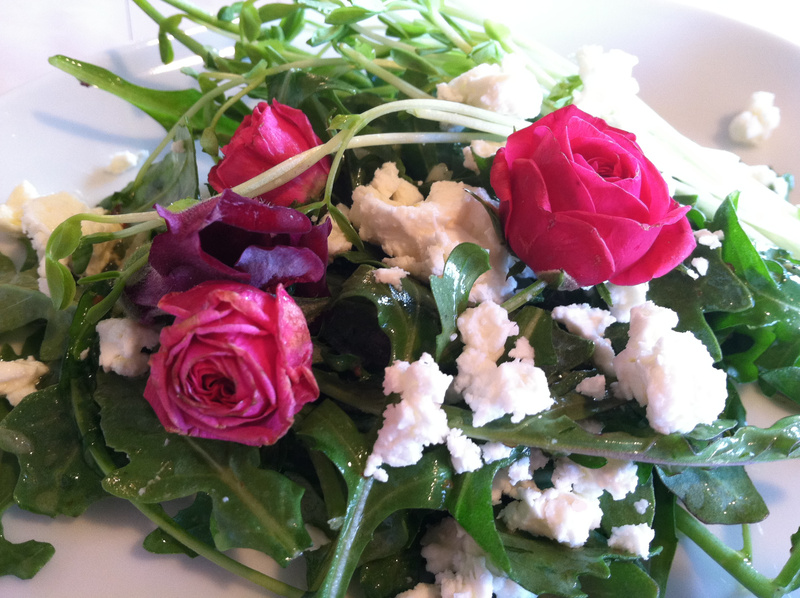 Then, gently toss and garnish with flowers before serving. If you want to make it fancy, mix your dressing with the arugula, cippolini and fresh tarragon only. Lightly toss and let the salad rest for 10-15 minutes so the arugula will have a chance to absorb the flavors. Then arrange the salad in the center of your plate. From here, sprinkle on some baby pea vines, then Oregonzola and finally garnish with flowers. A simple dish that is sure to impress. * Always taste your dressing before putting on the salad. It needs to be your perfect level of tart, rich, salty & sweet. Feel free to play around until it tastes just right to you! ** This dressing is fun to play around with! Experiment with red wine or champagne vinegars. Switch from honey to maple syrup. Infuse your dressing with different fresh herbs. You can even use a lighter oil, such as grapeseed, allowing for the tart mustard and vinegar to steal the show.